It can be overwhelming to be asked to make health care decisions for someone who is dying and no longer able to make his or her own decisions. It is even more difficult if you do not have written or even verbal guidance. How do you decide what type of care is right for someone? Even when you have written documents, some decisions still might not be clear. Two approaches might be useful. One is to put yourself in the place of the person who is dying and try to choose as he or she would. That is called substituted judgment. Some experts believe that decisions should be based on substituted judgment whenever possible, but decision-makers sometimes combine that with another method. The other approach, known as best interests, is to decide what would be best for the dying person. Sometimes the whole family wants to be involved in every decision. Maybe that is the family’s cultural tradition. Or, maybe the person dying did not pick one person to make health care choices before becoming unable to do so. That is not unusual, but it is probably a good idea to choose one person to be the spokesperson and the contact person when dealing with medical staff. The doctor and nurses will appreciate answering questions from only one person. Even if one family member is named as the decision-maker, it is a good idea, as much as possible, to have family agreement about the care plan. If you can’t agree on a care plan, a decision-maker, or even a spokesperson, the family might need to hire a mediator, someone trained to bring people with different opinions to a common decision. In any case, as soon as possible after the doctor says the patient is dying, the family should try to discuss with the medical team what approach to end-of-life care they want for their family member. That way, decision making for crucial situations can be planned and does not have to be done quickly. Here are some common end-of-life issues like those—they will give you a general understanding and may help in your conversations with the doctors. What if someone needs help breathing or completely stops breathing (respiratory arrest)? Sometimes doctors suggest using a ventilator (a respirator or breathing machine)—the machine forces the lungs to work. Initially, this involves intubation, putting a tube attached to a ventilator down the throat into the trachea or windpipe. Because this tube can be quite uncomfortable, people are often sedated. If the person needs ventilator support for more than a few days, the doctor will probably suggest a tracheotomy, sometimes called a “trach”. This tube is then attached to the ventilator. This is more comfortable than a tube down the throat and may not require sedation. Inserting the tube into the trachea is a bedside surgery. A tracheotomy can carry risks, including collapsed lung, plugged tracheotomy tube, or bleeding. How can I be sure the medical staff knows that we don’t want efforts to restore a heart beat or breathing? As soon as the decision that medical staff should not do CPR or other life-support procedures is made by the patient or the person making health care decisions, the doctor-in-charge should be told of this choice. The doctor will then write this on the patient’s chart using terms such as DNR (Do Not Resuscitate), DNAR (Do Not Attempt to Resuscitate), or DNI (Do Not Intubate). If end-of-life care is given at home, a special “non-hospital DNR,” signed by a doctor, is needed. This ensures that if emergency medical technicians (EMTs) are called to the house, they will respect your wishes. Without a non-hospital DNR, in many places EMTs are required to perform CPR and similar techniques when called to a home. 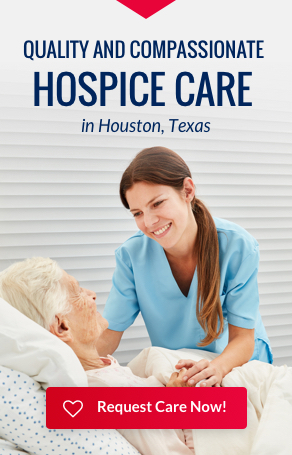 Hospice staff can help determine whether a medical condition is part of the normal dying process or something that needs the attention of EMTs. DNR orders do not stop all treatment. They only mean that CPR and a ventilator will not be used. These orders are not permanent—they can be changed if the situation changes. What about antibiotics? Antibiotics are medicines that fight infections caused by bacteria. Lower respiratory infections, such as pneumonia, are often caused by bacteria and are common in older people who are dying. If someone is already dying when the infection began, giving antibiotics is probably not going to prevent death but might make the person feel more comfortable. What happens if the doctor and I have different opinions about care for someone who is dying? Sometimes medical staff, the patient, and family members disagree about a medical care decision. This can especially be a problem when the dying person can’t tell the doctors what kind of end-of-life care he or she wants. For example, the family might want more active treatment, like chemotherapy, than the doctors think will be helpful. If there is an advance directive explaining the patient’s preferences, those guidelines should determine care. Without the guidance of an advance directive, if there is disagreement about medical care, it may be necessary to get a second opinion from a different doctor or to consult the ethics committee or patient representative, also known as an ombudsman, of the hospital or facility. An arbitrator can sometimes assist people with different views to agree on a plan.